Delicious and nutritious foods need to please a lot of critics. Children want flavor, moms need nutrition and manufacturers require quality ingredients for reliable results. CreaFibe and CreaSplend are simple fiber solutions that provide function and value for the complex business of food. CreaFibe and CreaSplend are neutral in color, devoid of odor or taste and derived entirely from natural fiber sources. CreaFibe and CreaSplend boost dietary fiber values and lower calorie and carbohydrate content. Fiber Health conscious consumers seek out nutrition labels with good and excellent sources of dietary fiber listed. 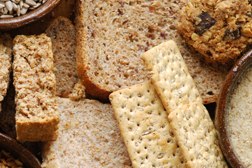 Both CreaSplend and CreaFibe contribute valuable dietary fiber content for healthy labeling. CreaFibe is the insoluble dietary fiber choice while CreaSplend provides both soluble and insoluble fiber content. Most often CreaFibe or CreaSplend are selected for their functionality, but the benefit extends much further to better-for-you nutrition. In business we all wear many hats, even our food ingredients need to multi-task. CreaFibe is the versatile insoluble fiber that adds value in so many ways. CreaFibe boosts profit and nutrition while performing vital functions. From preventing breakage to increasing shelf-life, CreaFibe is the ingredient that gets the job done well. that adds value in so many ways. CreaFibe boosts profit and nutrition while performing vital functions. From preventing breakage to increasing shelf-life, CreaFibe is the ingredient that gets the job done well. CreaFibe is available in grades ranging from the powders to longer fiber lengths tailored for application specific results. The CreaFibe family of fibers include cellulose, bamboo, oat and wheat. CreaFibe products are insoluble, natural fibers. Quality driven manufacturers trust the result of CreaFibe due to our superior consistency and multi-functional fiber properties. At CreaFill Fibers, we pride ourselves on producing pure ingredients for simple fiber solutions. 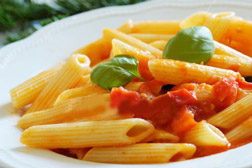 CreaSplend works magic for baked goods, filled pastas, prepared meats and creamy desserts. The magic is a blend of soluble and insoluble fiber that hold and control moisture while maintaining shape and form. CreaSplend offers impressive moisture binding to foods without compromising flavors. experience. The magic works on viscosity, too. CreaSplend can be used to replace hydrocolloids or to augment gums for greater results. All of this can be achieved while reducing waste. CreaSplend’s final act is that it’s all natural – a simple fiber solution that is healthy and wholesome!